Andrea Lucado's university life was never simple. Moving to another country, keeping faith amongst pressures and stresses are explored with lightness of touch. In English Lessons, Andrea takes us through the roads of England and the paths of the soul as she explores the journey of a changing faith and an unchanging God-and why growing in our faith starts with realising just how small we are. The questions would teach her more than the answers...It wasn't long after arriving in Oxford for a masters' degree that twenty-two-year-old Andrea Lucado - preacher's daughter from Texas - faced not only culture shock and a severe lack of coffee, but also some unexpectedly hard questions: Who am I? Who is God? Why do I believe what I believe? In this engaging memoir, Andrea speaks to all of us who wrestle with faith, doubt, and spiritual identity. Join Andrea as she navigates the River Thames, the Oxford Atheist Society, romance in ancient pubs-and a new perspective on who God is. As Andrea learned, sometimes it takes letting go of old ideas to discover lasting truth. The church wasn't just a part of Andrea Lucado's childhood. It was her childhood. It provided more than happy moments. It provided an invitation to know Jesus. So when Andrea arrived in England she expected to meet God there. 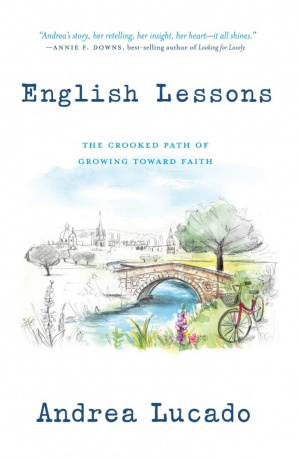 English Lessons by Andrea Lucado was published by Authentic Media in May 2017 and is our 18087th best seller. The ISBN for English Lessons is 9781780781877. Be the first to review English Lessons! Got a question? No problem! Just click here to ask us about English Lessons.